Applying for social security benefits can be an agonizing experience. There is a lot of paperwork involved, as well as a good chance that despite your disability, you will not be approved on your first go around, if you apply without legal aide. Using the services of a Social Security Attorney can really save you a lot of time and headaches. If you aren’t sure you need to have one of these attorneys, here are three reasons you should consider hiring one today. 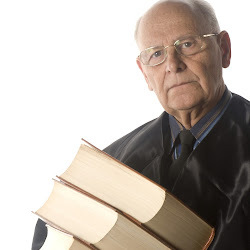 One of the big reasons you should seek out one of these lawyers before you apply for Social Security, is because they can tell you if you truly qualify to receive benefits. Many individuals who attempt to apply for benefits on their own, don’t really know if they actually meet the criteria or not. The paperwork might make it seem like the qualifications are pretty simple, but everything on paper looks easy. An attorney can tell you what the real world application of those qualifications looks like, and if you fall within them. This can save you a tremendous amount of stress. Some individuals who are applying for Social Security have a hard time understanding all of the different paperwork that needs to be filed in order to receive compensation. Not only do you need to fill out an application, but you need to provide proof that you are actually disabled. There are certain forms and documents you will need to retrieve from your physicians that will be used to prove your disability. Your attorney will know everything you need to have in order to get your application pushed through, on the first try, rather than having to go through this process for a second time. An attorney can be a valuable asset if you have applied and were denied your benefits. When this happens, it can be very discouraging. Rather than get upset about the situation, you can hire an attorney and file an appeal. With the help of your lawyer, you can go back and make sure you have all the necessary forms to get approved and start receiving your benefits.